CCR Home About Us AACC Homepage Questions? 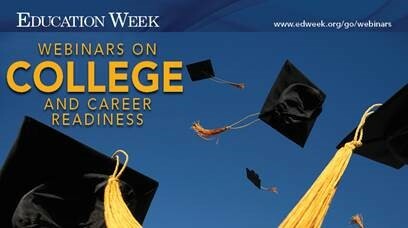 To learn more about pathways to College and Career readiness, visit www.edweek.org/go/webinars . AACPS’ goal for each of our students is that they are college and career ready when they leave our schools. As students progress through the grades, they will build the skills and knowledge needed to be prepared for college level coursework and the demands of the 21 st century workplace. Students will participate in an educational program that not only leads to a high school diploma, but also to success in college, career, and civic life after graduation. Students will develop skills in academic and content knowledge so that they qualify for and succeed in entry-level, credit-bearing post-secondary coursework without the need for remediation. Academic and content knowledge, however are only a small part of the skills students need and will gain in order to be college and career ready. They will also develop higher-order thinking strategies that support problem-solving and reasoning; social and emotional awareness and self-management; knowledge about and the ability to access and use resources for making decisions about life after high school; and employability and life skills, such as communication, time management, and collaboration skills.